Two sisters, Marva, 17, and June, 13, struggle to forge a new life for themselves after Marva accidentally kills their father. Hoping to stay with their aunt until she can decide their next move, Marva is horrified when their father’s body washes up on the beach. 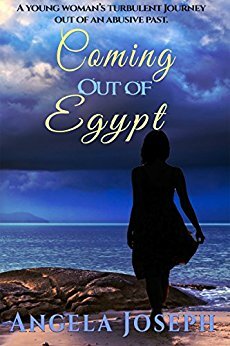 Although written from a Christian perspective, Coming Out of Egypt deals with a very sensitive topic that is hardly ever mentioned in church—sexual abuse. Two sisters, Marva, seventeen, and June, thirteen, struggle to forge a new life for themselves after Marva accidentally kills their father. Their mother died a year earlier, and with both parents gone, the girls seek refuge in their aunt’s home, but, of course, they don’t disclose their ugly secret. Hoping to stay there until she can decide their next move, Marva is horrified when their father’s body washes up on the beach near their aunt’s home. The police rule his death a homicide. This event throws the girls’ lives into even greater turmoil. Marva now has to focus on eluding the police—she knows the detective suspects her—controlling her rebellious teenage sister, and trying to sort out her feelings for her childhood friend. Marva's former teacher, Cicely, mentors the girls and leads them to Christ, but as Marva watches her wrestle with her own demons, she learns important lessons about love, forgiveness, and faith in the God who can help her "come out of Egypt."